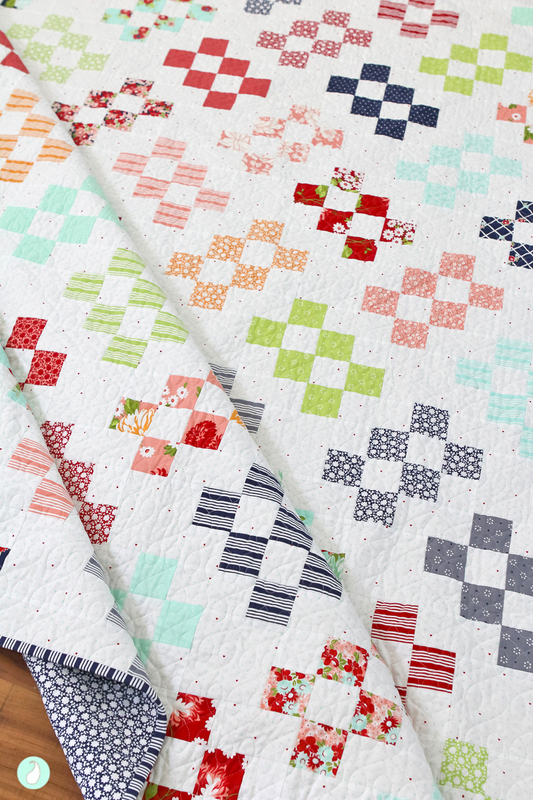 As many of you know, I like to include the story behind the quilts I design within the pattern pages. When I don’t, it’s because, either it’s logistically impossible to make the page numbers work, or, as was the instance with this August Rain quilt, it’s not easy to articulate the depth of the background story. Every time I read those words a deep sense of peace and comfort washes over me. We are all in our own way weathering one storm or another. Our personal storms come in many different varieties, and no one is immune. Some storms are expected and we try to prepare for them the best way we can, and others strike without warning and leave a devastating path of destruction. In August last year, one of my closest friends experienced a great storm in her life! I won’t share the details, but I will say, it was a sad and challenging time. But this quilt is not about the sadness, it’s about the love that was so clearly on show during such a difficult time. It’s about the people in our lives who are there for us, the ones who lift us when we are low in spirits, and the ones who shower us with comfort and support. This quilt was a way to pay tribute to the women in my life who are great examples of compassion, love and charity. Women who are the rain, nourishing and restoring those they come into contact with. And women who are great examples of resilience, strength and capacity as they face the storms and ‘dance in the rain’. 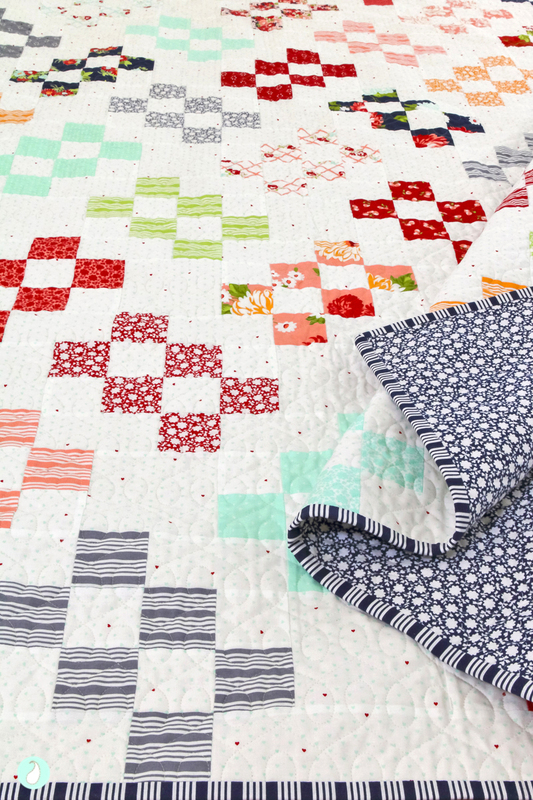 To me this quilt is about closing your eyes and sensing the abounding love of the people in your life that love and support you – not just during difficult times, but always! The blocks are designed to be reminiscent of the rain as it falls. I like to imagine that every block represents someone special. 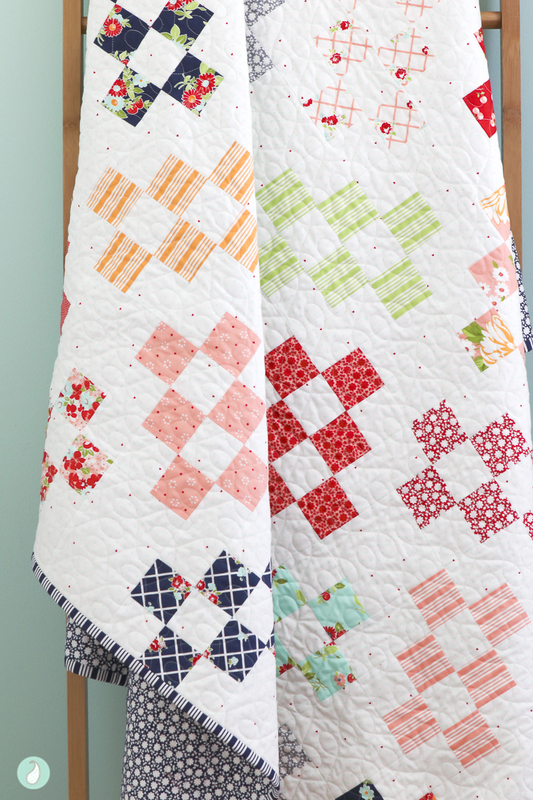 This is a quick and easy pattern that uses jelly roll strips and simple chain piecing. It’s a great project for a long weekend :). You can purchase a copy of the PDF here (AU, NZ, US & CN) or here (EVERYONE ELSE). For those of you who are facing your own storm right now, I hope you remember to take some time to replenish your creative well and nurture your authentic self! Disclosure: Aqua Paisley Studio is committed to high standards of integrity and quality. APS does not promote any brand that does not meet these guidelines. 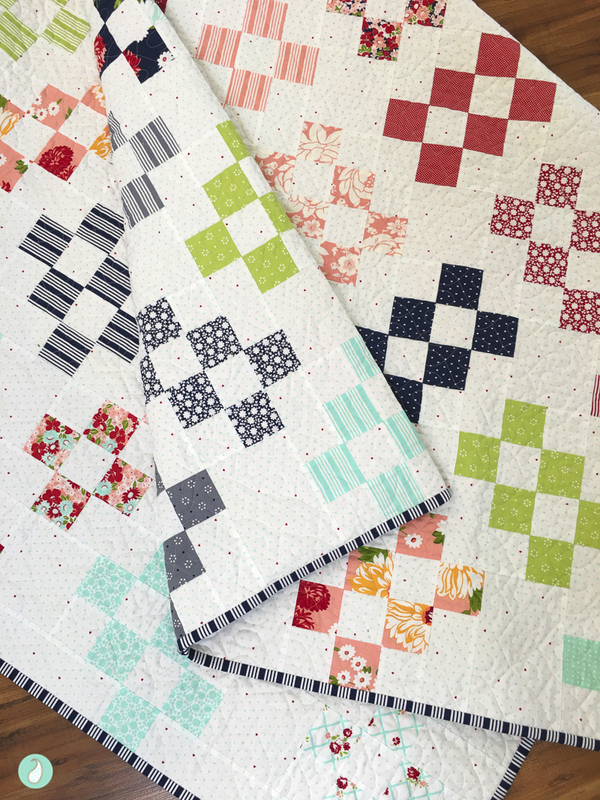 I enjoy hearing the story behind quilts, and this one is a keeper. A very close friend and I shared that quote with each other during a difficult season in her life. I completely get what you are trying to convey in August Rain. Very cool. Thanks for sharing the story! Thank you Wendy! It is always nice to hear that others can relate to the sentiment behind a quilt. I imagine this particular quilt will resonate with many women, as we so often find ourselves trying to lighten the burdens of others. I think it’s one of the gifts of being a woman. Thanks Angela! It is now a favourite quote of mine too! 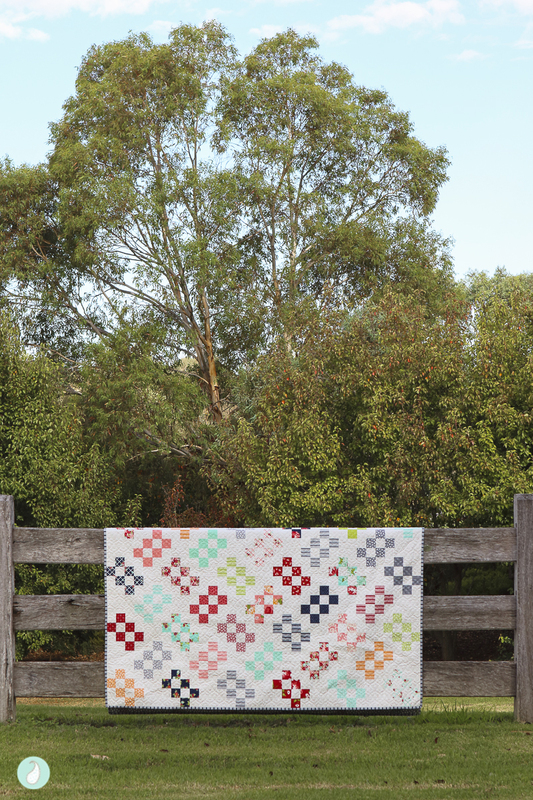 What are the dimensions for this quilt and does the pattern have other sizes as well? Beautiful. Thanks Rebecca! 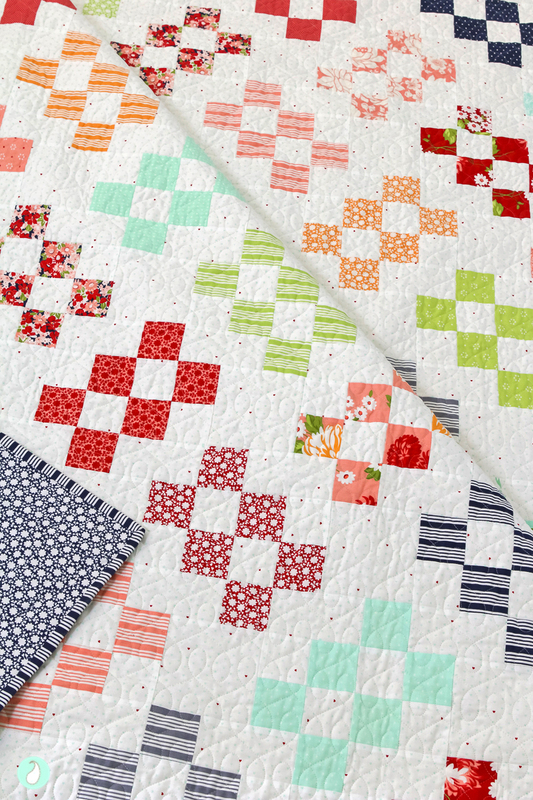 The pattern is designed to make use of a Jelly Roll, and as such the quilt has a finished size of 69″ x 81″. Beautiful quilt and such lovely thoughts and words to accompany it! A beautiful story and a beautiful quilt. Such a happy fabric line, too! 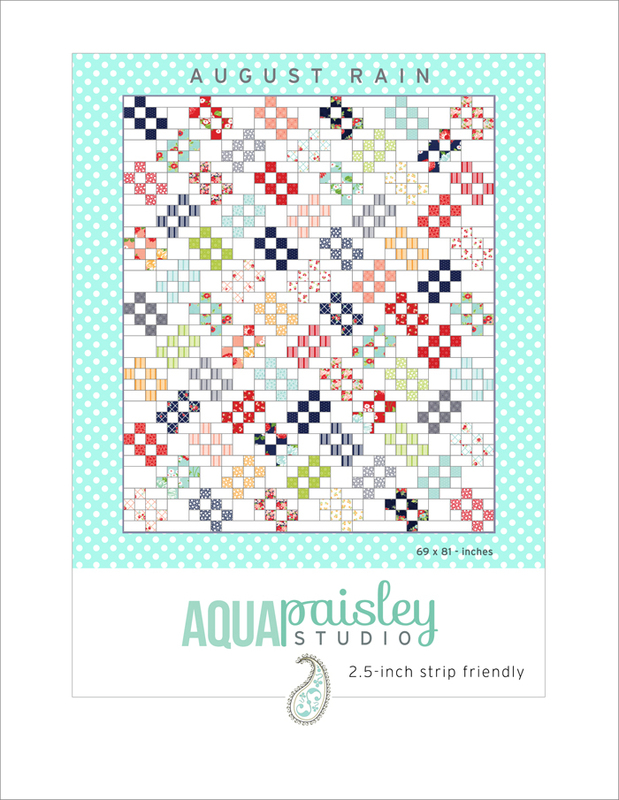 I can’t wait to figure out what fabric I want to use for this pattern. My stash of Good Life is on the design wall now, so I’ll have to find something else. Thank you for sharing. 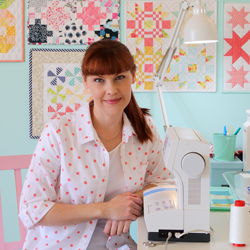 Thanks Julie – it is such a versatile pattern; I hope you find the perfect fabric :). It is so true Cathy – there are two sides to every situation, and it is good to focus more on the positives! This is definitely something I am always trying to improve on.